Oh and their site is having loading problems. Mercury retrograde or massive ticket sale interest? I'll observe a respectable mourning period for their Tumblr later (but hey, they have Google Plus! Because that's relevant) and focus on the badge types available to you and I. And that's it! No line-jumping, aristocratic, extra-special VIP badge for you. All 4-day people have to mingle together, supernerds and the hoi polloi alike. Limits are 4 badge per type for a total of 16. They also posted some comic guests and included this macabre invitation: "Join us for Stan Lee's final ECCC appearance!" I know he's probably just hanging up his dance hall shoes, but it sounded a bit ominous. You can also apply to host a panel. 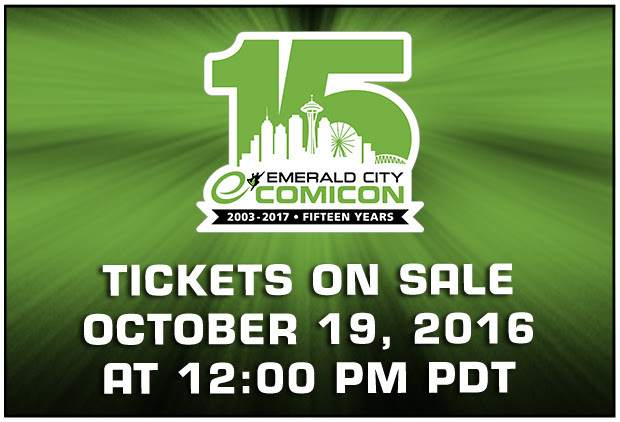 But seriously, why did ECCC kill their Tumblr? I hate that they killed their Tumblr. It was such a great space to post questions and pics and get responses. Sure, they're answering questions on their Twitter but it's not the same. I'm not surprised that the VIP badges are gone, given that they already got rid of the VIP option for NYCC. For the same 'reason'. Yeah, that Tumblr was such a marked contrast to how so many OTHER Cons operate (no names mentioned, cough, cough) - they were so attentive and open with fans. It will be missed. Glad you can make the sale! I already have butterflies.